Most anyone who has spent a good amount of time in warehouses would agree the loading dock is one of the busiest areas in the entire building. It makes sense—there’s a constant flow of traffic in and out of the area, both with foot traffic and vehicles such as trucks and forklifts, and in many cases it presents perhaps the highest possible concentration of inventory and pallets due to the flow of in- and outbound shipments. 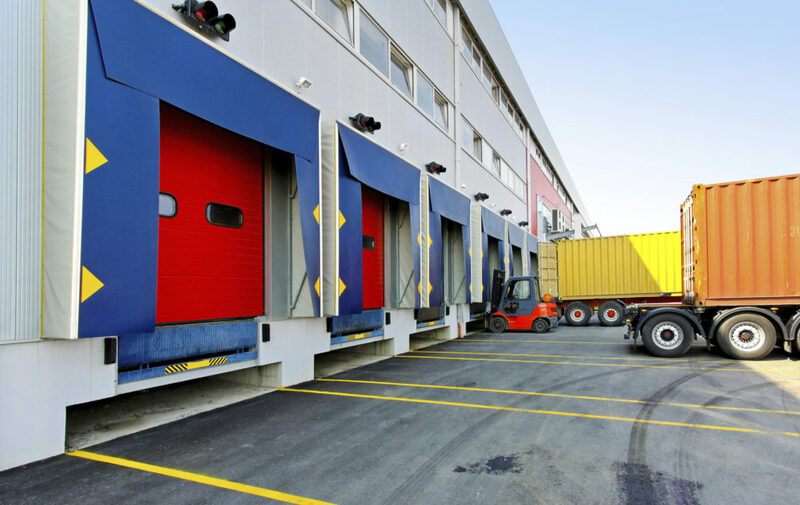 Identify common loading dock hazards: The sort of working hazards that can happen to a warehouse are magnified in a loading dock, but they can also be easily prevented so long as you know what to look out for. Keep a close eye out for things like puddles (especially in times of the year where the weather is more prone to rain or snow), exposed cables, cluttered aisles, and the like—and make sure your workers know to look for them as well. Aisleway navigation: Loading docks in most cases won’t have quite as much room to work in as other parts of the warehouse, so keeping aisleways free and clear for vehicles to get through is critical. Make sure all of your industrial shelving, wire shelving, and other storage implements are far enough apart to let foot and vehicle traffic through (but not so far as to create issues for the rest of the warehouse or make cramped quarters elsewhere). Increased safety markings: Safety markings are a must in any warehouse, and are required by OSHA in many cases, but careful implementation of these throughout a loading dock can go a long way towards preventing accidents. Install industrial lighting where possible to increase visibility, mark off any tall shelves with height warnings (and enforce hard hats), place guard rails around some of the more dangerous/less-travelled areas, and make sure you have tape and/or fluorescent floor paint to mark footpaths and areas of traffic. Understand shelving requirements: The flow of products into and out of the loading dock will create a greater demand for shelving space, but improper use of this space can cause a safety hazard for your workers, as well as increase the risk of damage to your shelves. Train all your workers on proper shelving and pallet rack use, make sure they understand the weight and space requirements of each, and keep a careful eye out for any inadvertent breach of protocol; things like overhanging pallets and bent pillars are a clear indicator that weight and space restrictions aren’t being adhered to correctly. Train workers on alertness: Finally, no matter how long they’ve been working there, make sure your workers are given frequent refresher courses in safety monitoring and alertness. Keep everyone aware of traffic patterns, injury protocols, and encourage your staff to keep an eye out for any potential tripping or slipping hazards.